Winston Wächter Seattle is proud to present three of the most prestigious photographers of our time, Richard Misrach, Harry Callahan and Hiroshi Sugimoto, and their individual relationships with Water. The exhibition will open May 18, with a celebratory open house, Saturday May 21, 12-5pm. 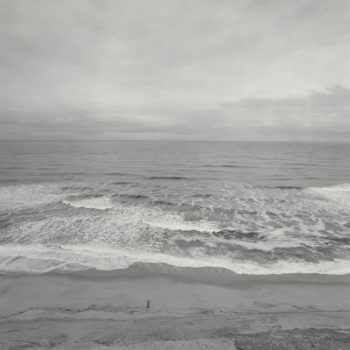 Hiroshi Sugimoto sees not only the ocean, but water and air, the two elements necessary to sustain life. They go unnoticed to most everyday, yet are so attractive that we continually search our solar system for a similar perfect balance. For Sugimoto, they are the “mystery of mysteries”. Similarly, Richard Misrach saw the ocean as something directly related to humans. His rare figurative series crisply focuses on individuals, adrift in the vastness, giving no indication if they are moving towards or away from the shore. There is a peacefulness and surrender to the power of the ocean. Water has been a subject explored by artists throughout history. There is something mysterious, powerful and simultaneously comforting about water that continues to fascinate. Winston Wächter Seattle continues the conversation May 18 – July 12, 2016.